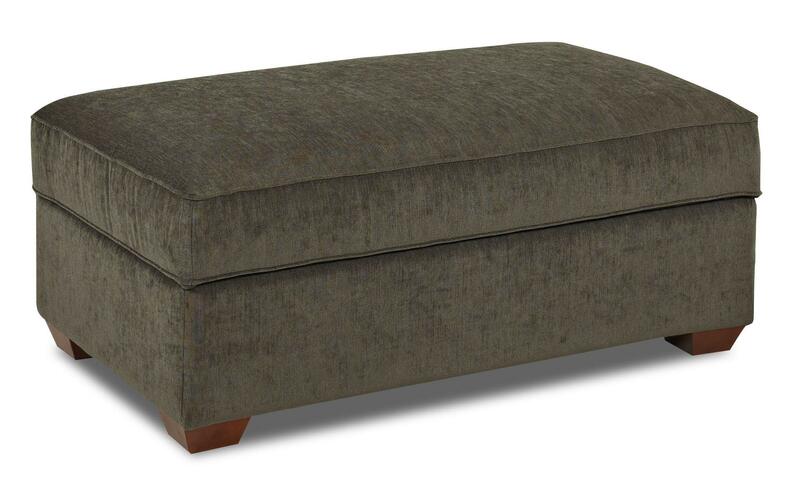 This cocktail ottoman has a sleek and comfortable look as well as a storage compartment to help aid your living room organization. 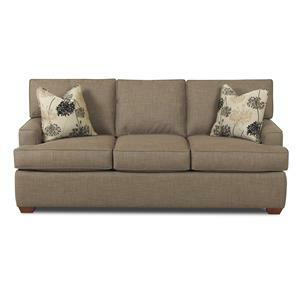 The clean, understated design of this piece makes it an ideal accent for your contemporary or casual decor. 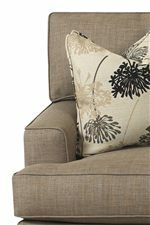 When the ottoman is placed in the middle of a room, the plush high-density foam seat cushion softly supports your seat, or you can choose to pair it with an upholstered chair for a comfy footrest. 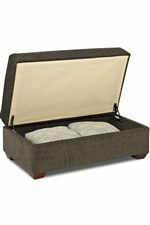 The welt-trimmed ottoman top can then lift up and reveal a spacious storage compartment for tucking throws, remote controls, and magazines easily out of sight. 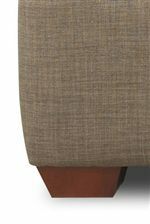 The Pantego Storage Cocktail Ottoman with Exposed Wood Feet by Klaussner at Value City Furniture in the New Jersey, NJ, Staten Island, Hoboken area. Product availability may vary. Contact us for the most current availability on this product. 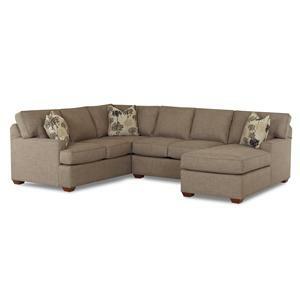 The Pantego collection is a great option if you are looking for furniture in the New Jersey, NJ, Staten Island, Hoboken area.